A lush green lawn is a wonderful addition to any garden. It can be grown over large expanses, creating an ideal environment for outdoor recreation, or in smaller and more intricate areas to soften and beautify the landscape. 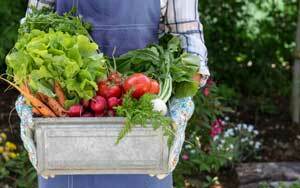 When is the best time to sow? Lawns are best planted in spring and autumn when temperatures are optimal for ensuring a healthy germination rate and good root development. Choose a seed mix that best suits your climate and situation. There are shade and drought tolerant mixes available, as well as hard wearing varieties. Your Home Timber & Hardware store has an enormous range to choose from. We recommend Munns Arid Lawn Seed for a hard wearing lawn that stays green all year round. Arid also grows in full sun, shaded areas up to 80% and is drought and cold tolerant. It is available in a range of sizes to suit your needs. For a lawn with a difference, ask about alternatives to grass, such as scented chamomile (Anthemis) or kidney weed (Dichondra repens). Where possible choose an open sunny area for your lawn. When selecting a site, be aware that large trees and shrubs create shade and compete for nutrients and water. Remove existing grass and weeds. Hand weeding is suitable for small areas but spraying with a Glyphosate herbicide such as Roundup is the quickest and most efficient method. Roundup will not contaminate the soil and seed can be sown once the plant material is removed (2-3 weeks after application). 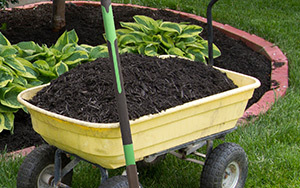 Dig over the soil with a spade or rotary hoe. Incorporate lots of organic soil building material like well-rotted animal manure, compost and sandy loam if the area is clayey. Gypsum may* also help improve heavy clay soils. Level the area with a rake and remove weeds, clods, lumps and rubble from the site. 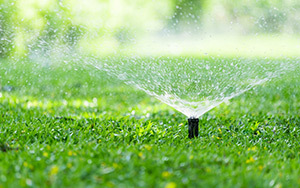 Remember, this is the ideal time to install an automatic lawn irrigation system (Ask your Home Timber & Hardware store for advice). A soil pH of 5.5 to 6.5 is ideal for lawns. Test kits are available. Check with your local Home Timber & Hardware store. Carefully mark out the shape - of your lawn to prevent oversowing. Use planks of wood for straight edges. A garden hose is useful for curved areas. Lightly firm down the area with your feet and rake in Munns Superstart Lawn Starter Fertiliser. You can even mix the starter and seed together when using a seed spreader. 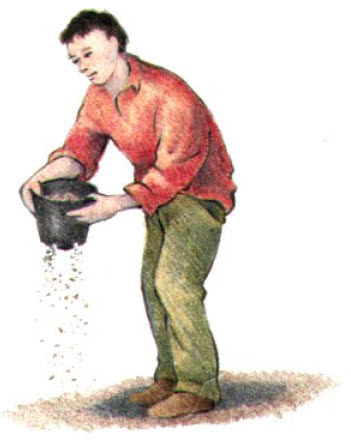 Sow the lawn seed at the recommended rate. 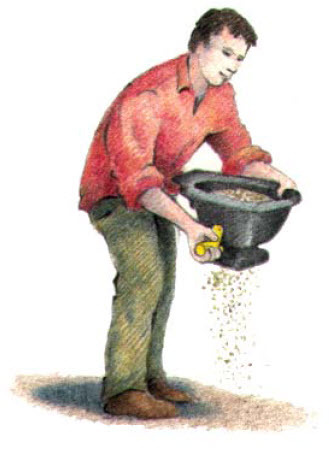 To sow evenly use a seed spreader, your hand or even an old plant pot and then lightly rake the area so that the seed is covered by soil. 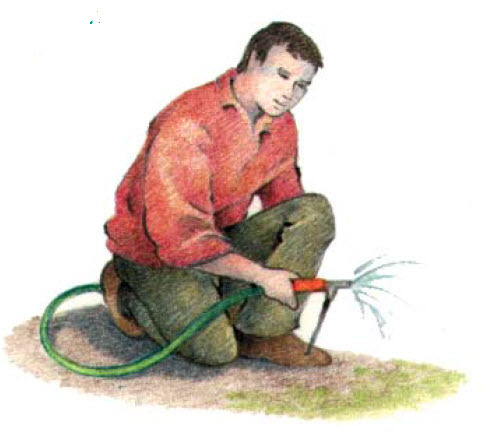 Keep the area moist until the lawn is established. Use a fine mist spray to prevent the seed from spreading. Never let it dry out. Avoid using the area for up to 10 weeks. This will help prevent damage to seedlings in the early stages of growth. Wait until the grass is at least 10 cm long before mowing and do not cut the new lawn too short. Fertilise 6-8 weeks after sowing. We recommend Munns Green Up Lawn Food (see section below for fertilising established lawns). Mow the lawn once a week during the growing season (usually late winter to early summer and late summer to autumn) and every two weeks as growth slows. Try not to remove more than one third of the grass at any one time. A longer lawn is more drought tolerant, durable and provides greater protection against weeds. It is not always necessary to remove grass clippings, these can quickly put nutrients back into the soil. Fertilise with Munns Green Up Lawn Food in spring and autumn when lawns are actively growing. Always water in well to avoid burning the lawn. We recommend a good deep watering once or twice a week (more in summer), preferably early in the morning to encourage a strong, deep root system and reduce the risk of fungal disease. Scarifying removes the thatch and old material from your lawn to improve airflow and drainage. 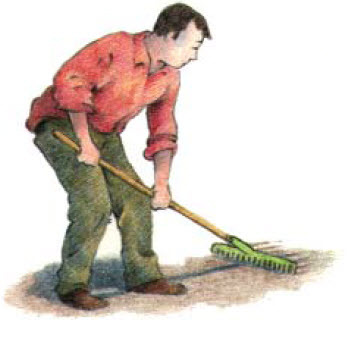 Simply rake the area strongly and briskly. Do this once a year in autumn. Aerating is best done in Autumn or Winter. This is done by puncturing the lawn with small holes. This allows air and water to penetrate the root system. In most cases a garden fork will do the job. Ask your Home Timber & Hardware store about aerating equipment for larger lawn areas. Top dressing may now be a good idea. Top dressing involves the application of a thin layer of growing medium, usually sand, to the lawn to improve infiltration of water and nutrients. Although common practice on heavily used turf, it is generally not necessary to top dress the home lawn unless it requires levelling. Keep the grass longer and feed and water regularly to maintain thick, lush grass which can out-compete weeds. There is a range of weed-specific herbicides available from your local Home Timber & Hardware. Keep an eye out for army worms (lawn grubs, not found in WA) which chew on the foliage in Summer. Also lawn beetles, which feed on the roots from spring to early summer. Fungal diseases such as brown patch and dollar spot can be a problem in late spring to early autumn when humidity is high. Moss in the lawn is a good indicator that your lawn is too acidic, shaded or poorly drained. Ask your local Home Timber & Hardware about suitable treatments for your lawn problems.